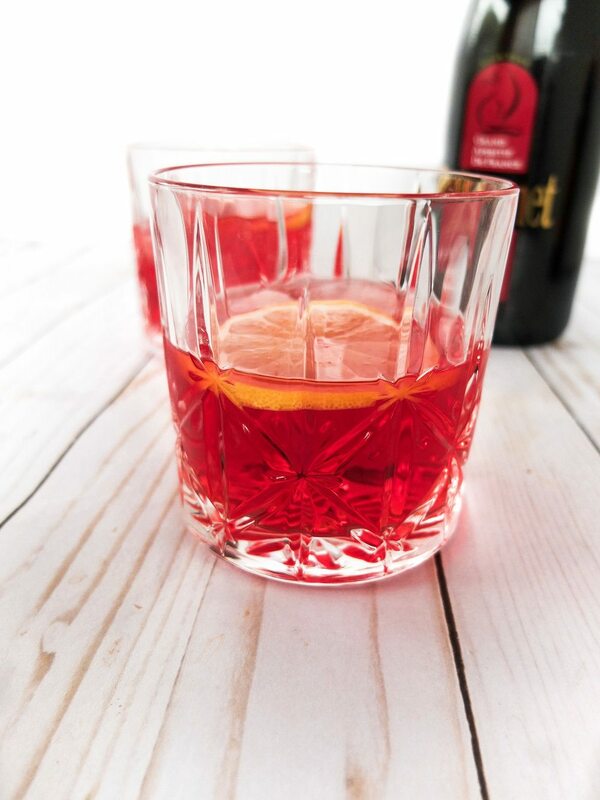 It is said that The Queen of England’s favorite cocktail is a Dubonnet and Gin. 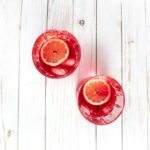 With the upcoming season 2 of The Crown airing, this could make the perfect watch party drink recipe. Recipe is for ages 21+, please drink responsibly. Post contains affiliate links, thank you for supporting Elle Talk by using these links. For more information see our Disclosure page. Who all is excited that season 2 of Netflix’s The Crown will be back tomorrow? This is one of my favorite Netflix series and in general one of my favorite TV shows. If you’re unfamiliar it follows the start of Queen Elizabeth II’s reigh of England. I am a glutton for English dramas and this show is of no exception. With that said, Brad and I will be pulling out some of favorite English recipes for a mini watch party. (only after I get home from National Llama Day of course) With this in mind, it lead me to be curious if the internet happened to know anything about what Her Royal Majesty is imbibing. Well come to find out, it sort of does. It is said that Queen Elizabeth II enjoys a Dubonnet and Gin cocktail before lunch. Now I don’t know how truthful this all is. As most of the interne also states she has one before EVERY lunch. I do think it’s safe to assume since it was a favorite of the Queen Mothe’s, she occasionally has one in her honor. So how is it made? 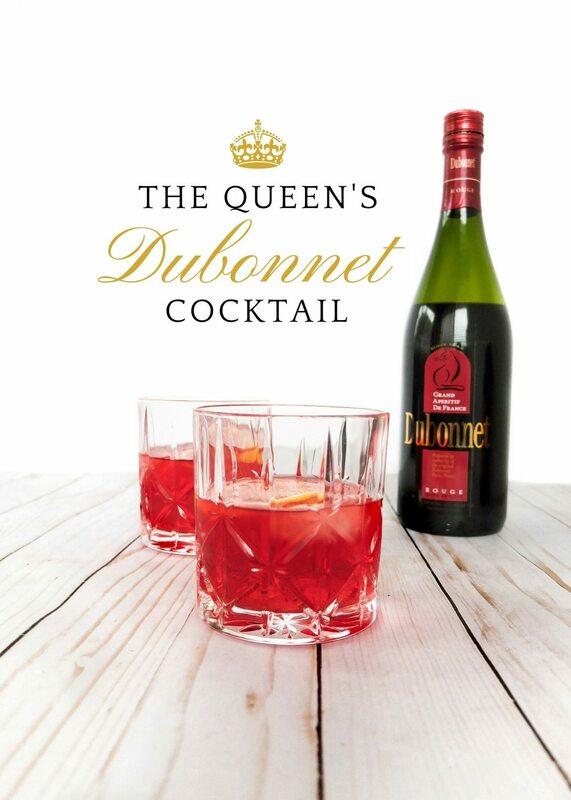 The Queen likes it as 2-parts Dubonnet to 1-part Gin stirred and strained. With an addition of one lemon wedge and two ice cubes or one large ice cube. That’s it, it’s that easy! Can you say a perfect The Crown watch party recipe? So, what is Dubonnet? Will you like it? 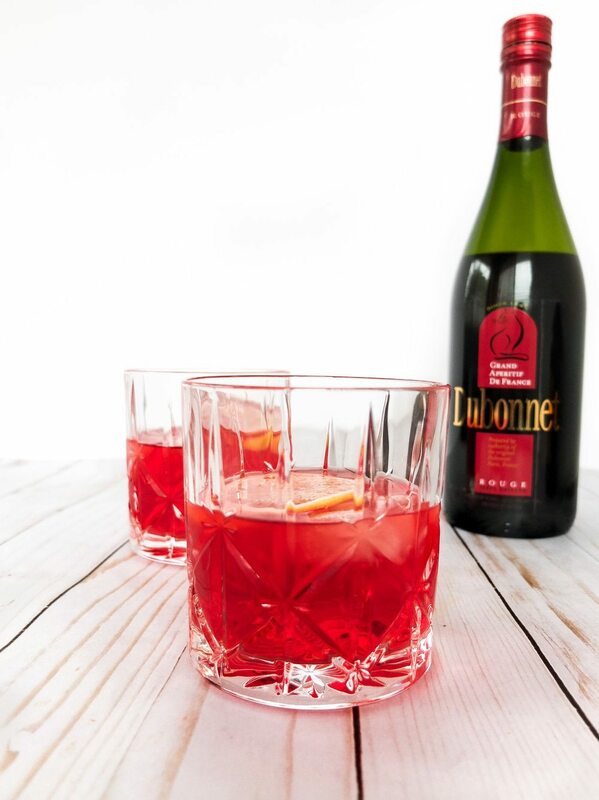 Dubonnet is a sweet fortified wine aperitifs (we’ve talked aperitifs before) made with a herbs and spices. 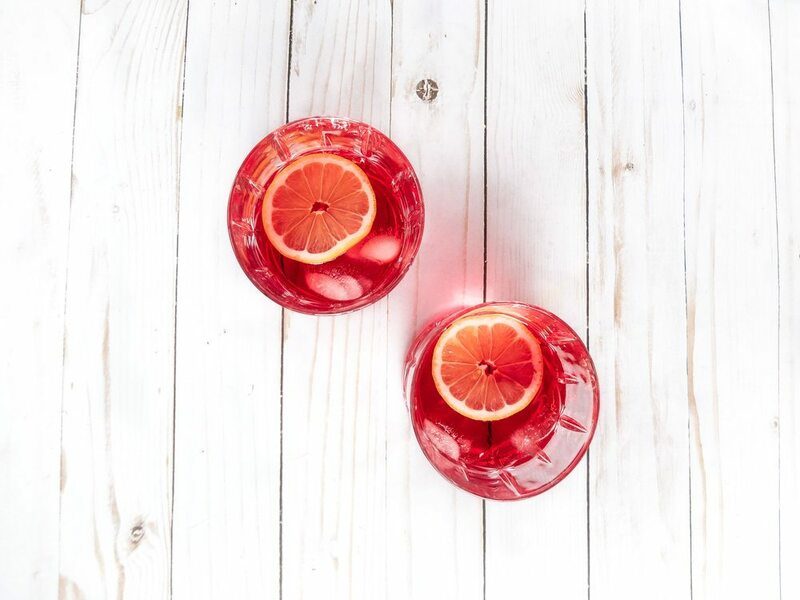 To me it tastes a little like sweeter Campari. It’s a little stiff on it’s own but made with good Gin, I prefer Beefeater, it turns into a lovely pre-meal sipper. Imagine something a touch sweet, a little herbal, and has an enjoyable smooth bitterness. Plus it is just that, a sipper, so don’t worry when it doesn’t fill your royal glasses full. It’s pure booze here, friends. Into a shaker add your Dubonnet and Gin. Stir with a bar spoon until fully chilled. In a rocks glass add two ice cubes and a lemon wedge. Strain cocktail into the rocks glass and over the ice and lemon. Serve. You know I had to serve it in these gorgeous Waterford glasses we got from our wedding. Oh, how I can’t wait to be drinking like a royal this weekend. Will you be partaking? Do you watch The Crown? What are some of your other television shows. To add to my love of English drama’s I just finished Victoria and it was fabulous. I highly recommend it!